July 2015 was even a better month than June and held another nice surprise for me. A great and long article on the main newspaper of the area I’m at in Italy, and it’s also online. Here is the link to the page in Italian and below, for you, is the full translation of the article in English. Hope you enjoy it. Please do click on the link to see the pictures. Luglio è stato ancora meglio di Giugno e mi ha riservato un’altra gradita sorpresa. Un’articolo lungo e stupendo sul principale giornale della zona in cui sono in Italia, ed è anche online. Ecco il link all’articolo in italiano mentre sotto c’è l’intera traduzione dell’articolo in inglese. Spero che vi piaccia. 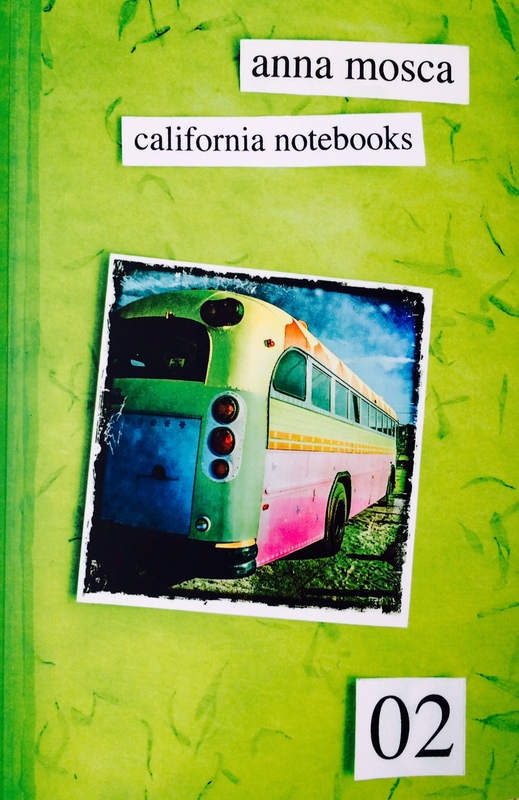 Anna Mosca is back in Monza with her notebooks from California. These are made of poetry and photographs to tell us of a moment suspended in time, refined by words. They are notebooks compiled in recent years. Also online. Maybe California is not that thing there: a little finger and index and a thumb suspended and agitated while waiting for the big kahuna, the big wave, the point of no return of a lifetime. Maybe that life is different, a moment, a moment frozen under a sun that alone says that the moment is perfect without the ocean coming to tell you it’s time for everything. That moment is what Anna Mosca was looking for. Or maybe not, she didn’t seek it out, she simply looked around with the idea of describing it in her California Notebooks. 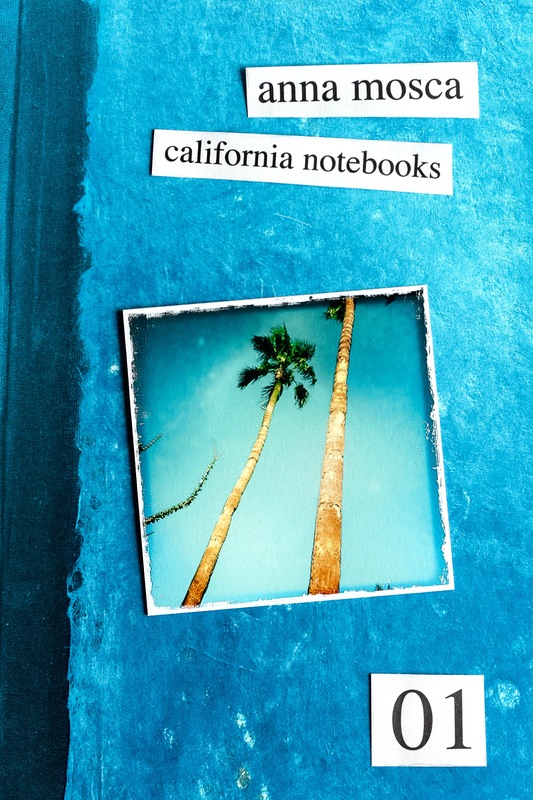 These notebooks from California made of poetry and photographs that she has compiled in recent years, also online at http://www.annamosca.com, are dramatically changing her relationship with poetry – and life probably. 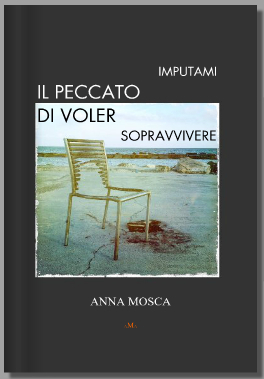 Anna Mosca: poet, from the Monza area but of another world, photographer, former high fashion model, a bit of everything, to tell the truth. But today she is especially that adjustment of lines and images that describe a new relationship with reality. 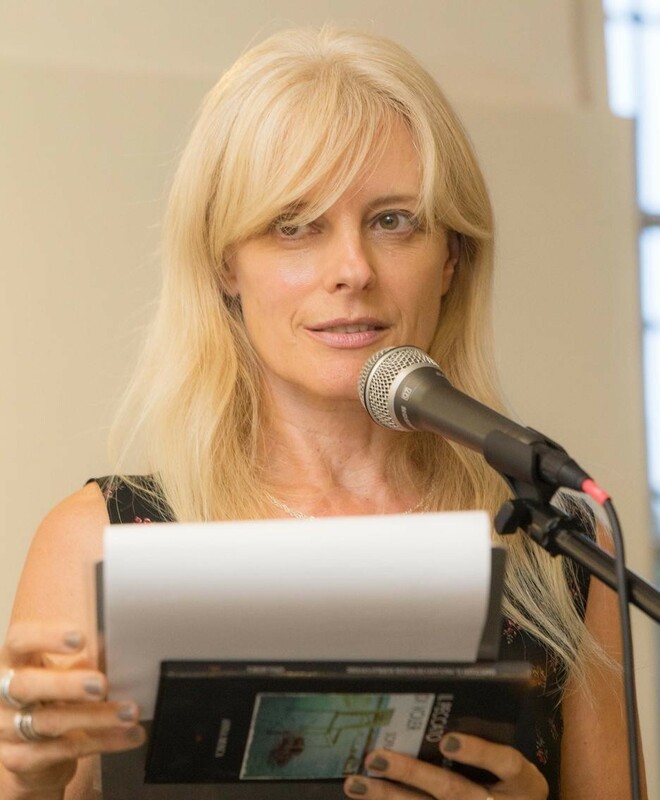 To my inquire for this interview, “your poetry seems suspended in the words and in the construction semantics, marching parallel between English and Italian”, she respond, “yes, to suspend a concept, an image, is exactly where I want to be with my poetry, to create gaps… reflection pauses. English comes first as a language, generally, though not always. When I have to think fast, to formulate a concept, to plan, to tell about a dream, a project, a speech of the soul, it is always, inevitably, in English. English is concise, direct, incisive and short. It is light, I really like this language. It is well suited to my type of artistic communication and it’s understood by many”. Anna Mosca puts art on the table: if Word has a plastic sense then her intervention is sculptural. “A sculpture of words, and white spaces, made of respires more than words. Poetry is something that I see, that I sense, that I almost physically feel under my hands. It comes to be known mentally only a moment later. Years ago I described writing poetry as a way to carve my thoughts. I now believe I indeed sculpt more a suspended moment that materializes in front of me and, only then, I think and analyze it, “If I arrange myself / coherently / between white spaces / give me a rhythm / suspended / between bodies and souls / that will transfer / transfigure / transcribe / the light on the soft / curve of waves / a second before / dark “(Summer Colors). Such a cool write up, Anna! Some wondrous insights too. Thank you Sean, glad you like it, I too was pleased with this interview! Thank you so much for your feedback, appreciate it!